First we created a fresh, confident logo that establishes Wodehouse as a modern construction business. The image references the firm’s roots in residential building but we kept it loose enough to suggest a broad range of abilities. Linking to the previous colour scheme was important to Wodehouse and we needed a design that worked on the existing fleet of red vehicles. The client was forward thinking enough to accept a variation on the corporate colour that enabled us to develop a strong, contemporary brand. The website is designed to have a cross-market in order to give exposure to Wodehouse’s expertise in a diverse range of sectors. We wanted the site to have a retail style that echoes the use of modern building techniques and separates Wodehouse from more traditional-looking building firms. We worked closely with the client to assemble a collection of projects that does justice to their work and our services included carrying out photography and copywriting. 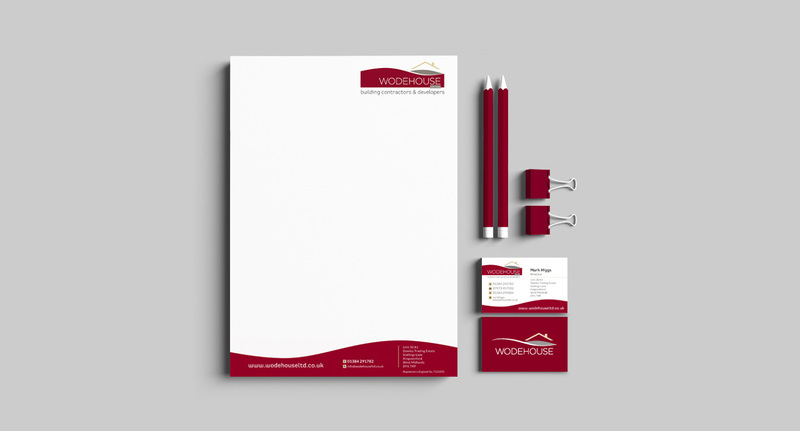 With a passion for quality, attention to detail and customer service, Wodehouse have built an enviable portfolio of work in a variety of sectors. We gave them a website to reflect their standing and showcase some of their outstanding projects. We would like to thank you for the great work you have done in designing our website, new logo and vehicle designs. Throughout the project your team has been exceptional. We would have no hesitation at all in using Charles Design again.